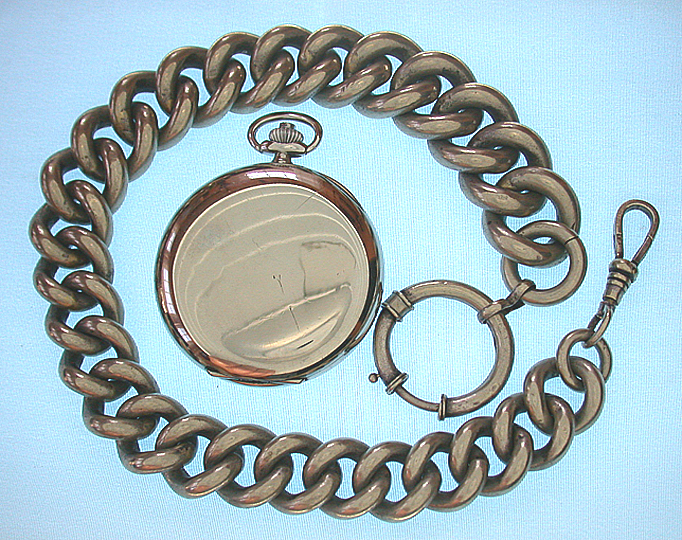 Massive silver antique pocket watch chain. Unusual 17 inch tapered curb chain weighing 158 dtw.! Shown with a 50 mm watch (not included).